New Tucson boot - What can you fit? 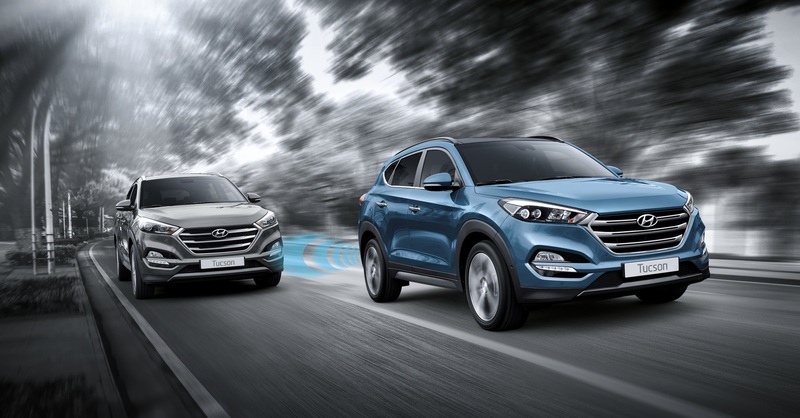 The New Hyundai Tucson is a stylish and practical family sized SUV that brings with it many convenient advantages, one of the most useful benefits being its great boot space allowance. From golf bags to children’s buggies, there are very few day-to-day items that this car can’t handle. With that in mind, this guide focuses on how much you can fit into the boot of the Tucson and how you can maximise your vehicle’s storage and transport potential. Perhaps you’re planning a day out with the kids or to take the grandchildren on a camping trip. 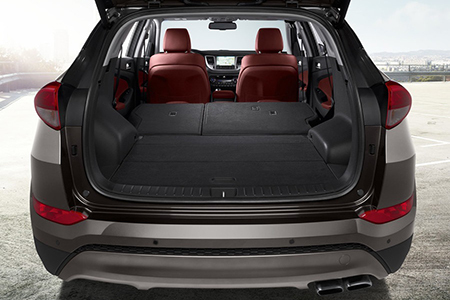 You’ve got a lot to pack for your adventures so you need a spacious car to get you there. We’re confident the Tucson’s boot space is high-capacity enough to keep all manner of children’s items in place, including several fold-down buggies and prams as well as plenty of bags for accessories like toys and games or even a deck chair for the bigger journeys. With a volume of 513 litres in the boot alone, and a wider volume of just over 1,503 litres when the back seats are folded down, the Hyundai Tucson has an undoubtedly sizeable boot. This is handy if you need to transport sports equipment: from bulky gym bags containing several sets of kit to awkwardly-shaped golf bags full of pointy clubs, this boot will have you covered. Cycling enthusiasts will also be pleased to know an average sized adult bike, when positioned well, fits into the Tucson boot. With the seats up and your gear safely stored in the back, there’s enough room to pick up your competition on the way to your ride without the worry of feeling cramped. If you fancy a bit of last minute DIY and come across bulky items such as a new flat-pack or a small item of pre-assembled furniture, the Hyundai Tucson boot size can accommodate it, so you don’t have to wait for a delivery date in the distant future. The boot also comes with a retractable load cover, making the loading motion for large and awkwardly shaped items a breeze. Doing the weekly food shop might not be as exciting as a family road trip, but it’s one of the most essential things we all do and therefore good to know that the Hyundai Tucson boot dimensions of 513 litres could easily handle over 20 standard supermarket shopping bags. The Smart Electric Tailgate is an added bonus on the Tucson Premium SE, remotely unlocking and opening the boot when your hands are full or you struggle to find your keys.